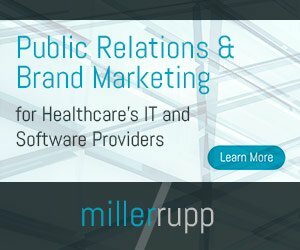 A new survey of senior information technology executives at some of the nation’s largest health systems reveals that their top priority for IT infrastructure investment is analytics – a technology that is central to achieving the systematic quality improvements and cost reductions required by healthcare reform. Health Catalyst surveyed members of the College of Healthcare Information Management Executives (CHIME), all chief information officers (CIOs) or other senior IT executives of US healthcare organizations. Survey respondents provided a high-level view of the many competing priorities for IT investment that hospital leaders face in the era of “value-based care” – a term describing elements of the Affordable Care Act as well as private industry incentives that reward providers for improving their patients’ health. Most experts agree that value-based care will require hospitals to use sophisticated analytics to comb through terabytes of clinical and financial data to reveal actionable opportunities for improving quality and efficiency. The survey’s findings confirm that view, with 54 percent of respondents rating analytics as their highest IT priority, followed by investments in population health initiatives (42 percent), ICD-10 (30 percent), accountable care/shared risk initiatives (29 percent), and consolidation-related investments (11 percent). HIMSS released the following infographic that summarizes the findings of 25 years of health IT from its annual leadership surveys. It’s a pretty good depiction of how health IT has changed in the last quarter century. Looking back on the past twenty five years in healthcare, something are fairly interesting. For example, physicians in 1993 said they would not adopt their use in healthcare until they became easier to use. The sentiment still remains, to a certain degree, especially in regard to systems like electronic health records. Another interesting factoid, is that in 1994, 14 percent predicted that digital patient information would be shared nationwide in one to three years. Finally, the number of health IT priorities that has changed in the course of the last 25 years is either alarming or inspiring, based on the level of change in the space and how quickly things continue to change. However, the number of changes and their frequency remind me of a dog on a trail stalking down one scent after another without a real sense of purpose – Y2K, HIPAA, patient safety, reducing medical errors, financial survival, meaningful use, etc. Time will tell what happens next, I suppose.